As an expert in EDM, ONA is a world leader in customised solutions for improving profitability and productivity for each individual customer. 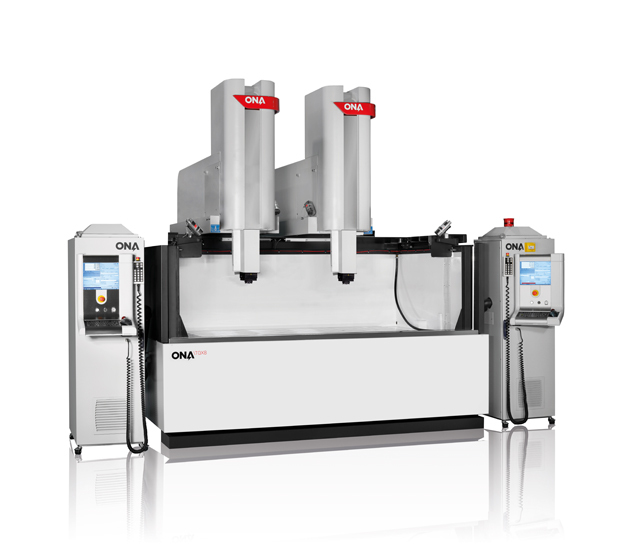 ONA has a highly qualified workforce with great expertise in EDM machinery manufacturing and precision assembly. The company is 65 years old this year, which makes it the world's longest-lived specialist manufacturer in its field. As a global leader in the manufacturing of large and special-purpose machinery, its goal is to ensure maximum competitiveness for its customers by establishing long-term partnerships and providing advice throughout the process so as to ensure maximum performance in every machine installed. The company analyses the needs of customers so as to design each one exactly the right machine. Innovation and state-of-the-art technology in a Die-sinking EDM machine that incorporates a new digital generator to ensure improved performance and productivity. Its double head is controlled by independent CNCs, reducing machining times by as much as 50%, providing the highest possible return and making the machine more profitable. The same results in half the time. It’s robustness, along with never-failing precision in positioning, ensures top-quality workpieces with perfect finishes. The TQX8 incorporates the most advanced technology in control, making it easy to operate and ensuring a fast, standardised process. Its high level of automation ensures expert standards. The main goal of the company is to turn EDM into an intuitive process that is easy to learn and handle. This enables production processes to become more autonomous, effective and reliable. The TQX8 is designed mainly for mould makers, especially in the automotive industry. It is fully configurable and programmable to suit the needs of each customer. Its technology can be adapted effectively to a range of present and future applications, ensuring that it will always be compatible with the latest market developments. At the EMO the machine will be displayed with a mould and a bumper from leading automotive manufacturer Audi.